I have hot water – I repeat: I FINALLY HAVE HOT WATER AGAIN!! And of course I celebrated with a steamy hot bath, whilst roasting my socks on the radiator. What can I say, I love being warm!! Other than that not a lot have happened this week, which is totally fine by me. Uneventful means nothing bad happened. Well actually one big thing have happened to me, I’ve went two months without coca cola. Sounds easy or like a silly accomplishment? Well it’s not when you’ve been drinking 3 cans every day for at least 10 years. The first week without the sugary goodness I had constant headaches, and my body felt tired and just “meh”. After that it got better. But honestly when I go grocery shopping I still have to mentally prepare myself to come face to face with the iconic drink. After I decided to stop drinking coca cola I’ve had so many people asking why I didn’t just switch to zero or the diet version. But I HATE THEM. I hate anything where you can taste the sweeteners, and that’s all I can taste in those. Instead I’ve starting drinking water and Ribena lemonade. When the craving for something fizzy is really bad, I can just about force myself to drink a mini can of Sprite without sugar. So yes, I’m quite proud of my accomplishment!! What’s next on my TBR? Right now I’m in between ARC and author/publisher deadlines, which is a rarity. This also means that I have some downtime to pick exactly what I’m in the mood for! While I’ve been so caught up in review requests, I’ve neglected some series that I at the time was completely caught up with. So in the meantime the wonderful authors have (of course) released new instalments, which is exactly what I will be focusing on. I’ve already started the third book in Their Dark Valkyrie, and now I’m actually glad that I didn’t read it right away. 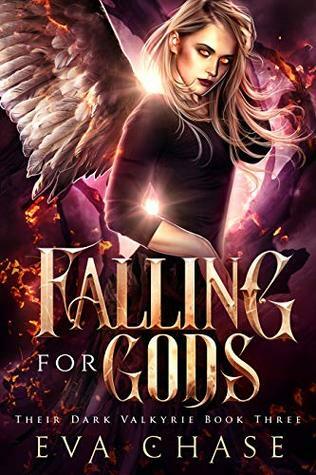 Because the plot is thickening and as the series is finished, I don’t have to wait to know how it’s all going to play out for Ari and her Norse gods. What have you read and done this previous week? Anything new and exciting happened? Let’s chat in the comments! Thank you hun 💖 I am so very proud of my now Coca Cola free life. Even if I still miss it a LOT 😂 and ugh those days without hot water was hell. I wouldn’t wish it upon my worst enemy lol. Glad you got your hot water back! Best get to those hot baths before the really lovely spring weather comes in! Two months without a Coca Cola and rejecting the other versions than the original one, that’s brave and healthy too. And last but not least a collection of 89 columns gathered in a Dutch book. No coca cola – good for you… I too have this drink once a year rarely. I have tea coffee water… And no other liquids or softdrinks or alcohol. Never found a taste for them. Yayy hot water and bath you go girl!! Congrats on hot water and not drinking soda!! I love Dr. Pepper. I don’t drink coffee or tea so that is my “coffee”. I usually only drink two a day. Sometimes one like today. But I bought Reese’s eggs so I feel like those have been compensating the Dr. Pepper for some reason. I’ve been eating one every time I walk by the kitchen and I’ve been avoiding going to my candy basket like that since I moved. Must exercise that again. I tell myself the candy basket is for my guests so that’s why I don’t usually eat them. Thank you 😃 sounds like you’re taking good care of yourself 💪 Dr. Pepper has never been for me, but I have a friend that swears by it. It’s a hit and miss with every other person I think. Cause there’s like three people at work that like it and others that don’t. I do brush my teeth after each one. Even at work. That’s exactly why I brush right after usually. I never heard of that at all about the milk.